It’s the age-old battle, internal recruiters disparage Headhunters and Search firm people trash HR. Let’s take a fair and balanced look that the benefits and limits of each of these valuable hiring resources. What’s the deal with recruiters? In my previous book, I discuss the different types of recruiters and how they can help people with their career. Let’s invest a few minutes exploring how they can help you hire. There are two classifications of recruiters, internal recruiters and headhunters. Internal recruiters are the recruiters that your company employs to handle your open jobs. The advantage of these folks is that you’re not paying any additional external fees for this person. The cost to a company for this type of resource is fixed, typically you pay them a salary or hourly rate without any commission so the cost is the same regardless of how many people you hire. The other advantage is they know the culture of your organization and what type of people work best in it. The disadvantage is these folks is tend to have a very high workload. This means they have little time to reach out and attract candidates that aren’t looking for a job. The typical strategy of an internal recruiting model is to have fewer recruiters working on more job openings. I spent ten years managing an internal recruitment program and I’m one of the few people in the entire recruitment business book-writing industry that has worked in both internal corporate recruiting and as a headhunter. Based on this experience, I can tell you that internal recruiters are extremely cost-effective; however they struggle to find the top performers from your competitors. Internal recruiting works best when you’re hiring a large number of very similar jobs and candidates aren’t hard to find. Their tools tend to be limited to things like LinkedIn, candidate applicants, and possibly a little bit of networking if they have any time. There is little focus on the proactive and strategic parts of recruitment. I estimate that most spend less than five percent of their time speaking to people in the industry who aren’t looking for a job. That simply isn’t an effective model. If this model works for you, that’s just great. But if you need to find a star in a shorter period of time, your best options are: A, to take matters into your own hands and reach out to people in your network or build your own network or, B, get somebody to do the job who’s already built a network of high quality candidates in your industry. Since I run an external recruiting firm, you might be thinking that I am now going to tell you how great external recruiters are. Unfortunately, the majority of headhunters now work more like corporate recruiters or worse, they are pushy sales people with zero knowledge. They work on LinkedIn, they post jobs, they send whatever they find. Become an educated consumer and learn where the experts reside. These are the individuals who can help you to target top performers, and coach you to make you a better hiring manger. If you ask the right questions within your network and interview recruiters, you’ll discover that not all recruiters spend all their time on LinkedIn. Some recruiters work in the old school way that existed before LinkedIn when the telephone, a database, and printed directories were the only way to find talent. They pick up the phone. They strive to identify people who are happy in their job and not looking. They build relationships and market knowledge which allows them to create candidates that don’t exist by identifying gaps in individuals’ career goals and offer new opportunity to fill in those gaps. 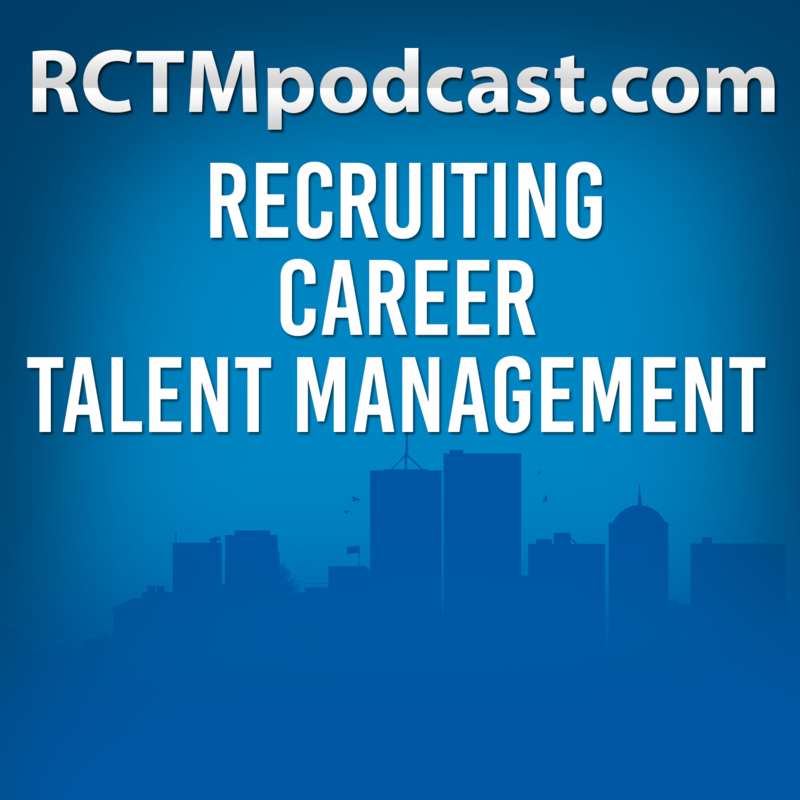 This skill takes years to develop and isn’t in the toolkit of most corporate recruiters. It simply doesn’t make sense for them to do this. Headhunters need to build relationships with all good candidates across geographies and functions within their market. Corporate recruiters don’t place the same value on building relationships in their industry. They’re focused on their company and candidates they can hire now to fill current jobs. From a candidate’s perspective they also have little need to befriend a corporate recruiter unless they are looking for a job at their company. A headhunter can unlock many, many doors so it’s wise to get to know a few. Candidates know this, so the smart ones are more likely to speak to you even if they’re not looking. This is the power that a truly effective headhunter brings to your career and the power that a headhunter brings to your search process. Unfortunately, this is the era of the “lazy LinkedIn Recruiter.” Why anyone would pay twenty or thirty thousand dollars for a headhunter who posts jobs or trolls LinkedIn is beyond me. This investment only makes sense when you hire a market expert who has invested the time to build their own network and a highly valuable database. Sure, I use LinkedIn but I use it as a source for data not as my major focus. Find a recruiter who is focused on finding people that aren’t looking for a job and your investment will be well worth it. I’m not saying that you need to use search for all your jobs. The fact is you may be able to build a network and relationships that allow you to identify top quality talent with little to no use of headhunters. However, when that’s not working, before you go post and pray, and hope that somebody applies for your job, consider using the expertise of a headhunter that knows and works in your marketplace to get you connected with talent that can change the game for you. Don't let your career die! How is the relationship with your boss? Research shows that the majority of people don’t leave companies and jobs. They actually leave bad bosses to go to better bosses. It’s not to say if the other three components of this model are bad that you will stay in your job for a great boss, but you need to take a hard look at how good things are and how good your direct leadership is for your career. 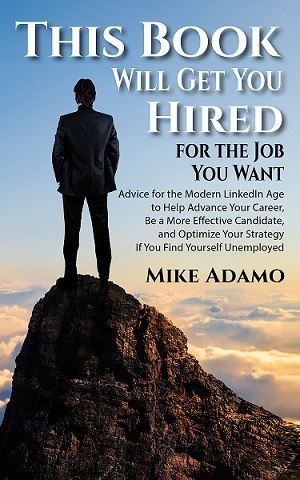 If you have been keeping up with my work (mradamo.com), you know I am a big advocate for creating and maintaining a career plan. The decision to leave a company should be grounded in a solid career plan. If you don’t have one, this is a good time to start that process. Another measure of this is to ask yourself if you know what the next step in your career is once you achieve the goals you have for your job. If you don’t have goals and a next step, this would be a pretty clear sign that you don’t have a clear career path at your current employer. It’s time to create one with your amazing boss or update that resume. Job hoppers ultimately become less attractive candidates. If you want more on this, check out a job hopping article I wrote a while back. Generally, there is a major problem if you’re ready to look for a job less than three years after joining a company. While you can get away with this once in your career, it’s better to ask yourself did I make a bad decision? On the other hand, if you been with a company for more than seven years, you may just want to start planning a change even if the other components are not that bad. Staying too long at one company can be a major career killer. What is the future outlook for your company? Now that you have analyzed the other three components that are about you and your boss, it’s time to look at the big picture. What is the future of your company? If things are bleak, you may accelerate your plans; however, if things are looking up, you may want to look for another internal opportunity or work harder to resolve some of the areas previously described. Don’t be like the majority of people who wait until they need LinkedIn. Build your brand, content, and connections now. It takes months, if not years, to effectively build a brand and vast network, so why wait until you need it? Part of being proactive with your career is taking the steps you need to develop relationships within your industry now while you are happy with your current role. If you’re reading this book because you are on a job hunt, don’t despair; there are things you can do to build your network faster. As the ancient Chinese proverb states, “The best time to plant a tree was 20 years ago. The second best time is now.” Plant your LinkedIn tree today and reap the fruit of your labor when you need them. Your image is the first place to start as you begin to leverage LinkedIn as the powerful business networking tool it is. Having a professional photo is a must. Not having a photo is a huge miss. Images humanize you; they help people connect with you through a media that risks being cold. Worse than not having a photo is having a bad one. My list of bad photos includes overly produced images and ones with statements or cheesy marketing captions. Vacation/travel photos don’t seem that professional either, and images of you and your spouse, dog, cat, or car make it look like you are unprofessional. LinkedIn photos are similar to the advice I give on interview attire. If you want to be a top business exec, start acting like one. You will need to be creative to fit your content in the small space provided, but balance keyword content with adding a benefit. Take a look at the headlines of others in your space, and you will start to see what’s good and what is not. Just remember this is the second most critical thing people see, so invest your energy accordingly. Creating content on your LinkedIn page helps you build your professional network on LinkedIn faster and with people who are more aligned with your skills and career goals. Poor content slows things down by creating less search results with your profile and makes your experience more annoying, as you are more likely to be contacted by the wrong people. Some people think it’s better to have a very basic profile so that they are not contacted by recruiters. This is the exact opposite. By not having specific and detailed content, you are more likely to be contacted by people who are not relevant to you. Content on LinkedIn does quite a few things for you. First, the more detailed and specific your content is, the more likely your profile is to be viewed by the right people. Your content should be keyword rich and describe the types of things you do. Did you ever stop and wonder why google searches often yield LinkedIn results? LinkedIn is one of the most heavily indexed sites for google, so better LinkedIn content not only lets you be found by the right people on LinkedIn, it also makes you easier to find on Google. Fill out your profile completely. Use this free and very valuable space to market your accomplishments and experience. Include all the industry buzz words for your space and special skills. As stated previously, a high-quality photo is the number one thing people see when they interact with you and your profile. In terms of developing your content, you can start with the content of your resume and expand from there. As I mentioned previously, all of the content on LinkedIn is heavily Google indexed by the LinkedIn search algorithm, so more good stuff is better. Also LinkedIn rewards completeness of content, so fill out all the sections. Post an example of non-confidential work, write a post, and add your skills. The LinkedIn site has great tutorials and will suggest areas to complete. Take the time to utilize these free resources; you want your profile to be filled out so you are rated as an “all-star.” By the way, if you are thinking you can get your profile to 100% completeness, this is also reportedly not possible. Apparently LinkedIn does not allow this; they always want the infographic that rates how complete your profile is to be under 100% to drive you into spending more time improving content. If you prefer to listen or watch about this content, we have also produced a YouTube on the subject. Here is a simple acronym to remember the steps you must take to get into leadership: BELT.